On Thursday April 11th 2019, a scheduled maintenance will take place starting at 9pm CET and it is expected to last for some hours. During this time the site will not be available. OGC WMS representation of sea surface temperature. 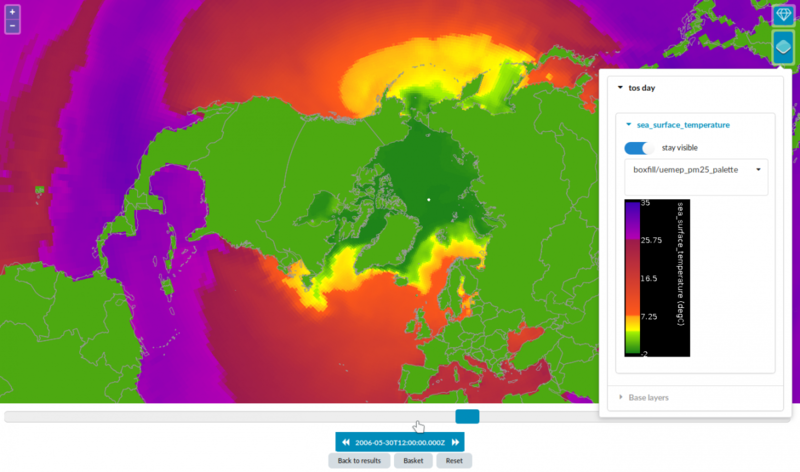 Barcelona Supercomputing Centre has uploaded a new family of datasets. These are now configured and made searchable with services in the search interface. Some of the datasets have issues with the visualisation service, these issues are being corrected now. Wednesday 21th November, maintenance is planned in the computer halls hosting the services. This will start 12:30 CET and may last for 2.5 hours. During this period services may not be available. In addition the search engine will be rebuilt this day. This may cause interruptions throughout the day. Information at WMO SYNOP stations with open data access have been extracted from WMO BUFR to NetCDF/CF. This is now available in the catalogue. 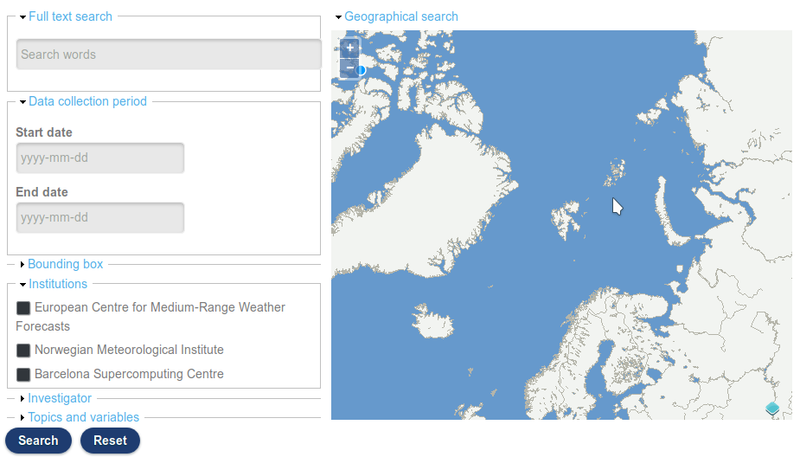 Information on the data centre hosting the data is correct, but the data is provided by the WMO members, not the Norwegian Meteorological Institute. Work is in progress on how to proper credit the originating provider. Backend services are updated June 30 and July 1. Interruptions in operation may occur. An interactive service that can be used to validate NetCDF/CF and ACDD files have been added to the Support section. This is available through https://applicate.met.no/dataset_validation/form. Search for relevant data using temporal, spatial, parameters etc criteria. Push the image to continue.